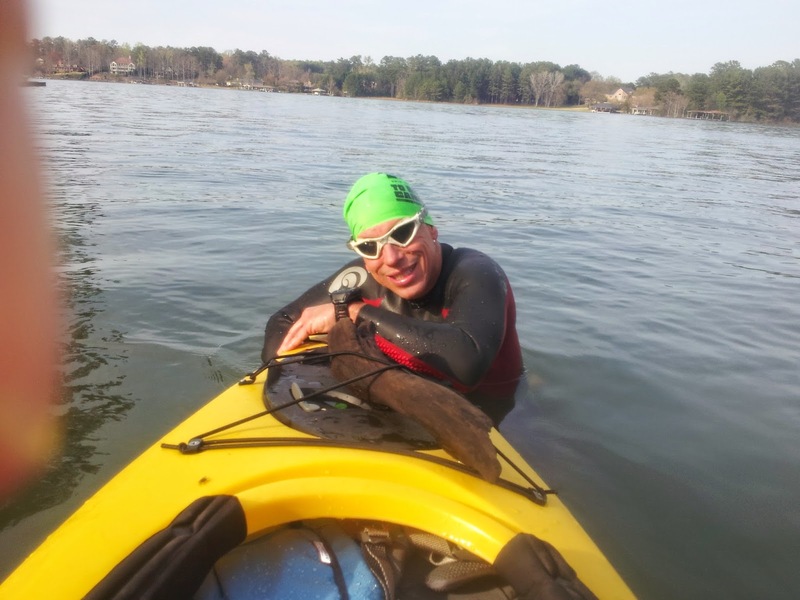 Today was my first Open Water Swim of 2014 as I start my training for the Swim Across America on May 4th. The water temperature is about 10-degrees warmer than it was less than two weeks ago. I measured 65.5 degrees in the cove where I started my swim. I think that was a warm spot. I realized how cold the water was after I jumped off of the dock. It was so cold that I thought I was Leonardo Dicaprio in the movie Titanic. The part of the movie when he and Kate Winslet are clinging to a door in the north Atlantic. I was clinging to my wife's kayak for dear life. As the water leaked into my wetsuit from every possible crack and crevice I had second thoughts about continuing. After about two minutes I regained my composure and headed out. I set my sights on something easily attainable for my first swim of the year. 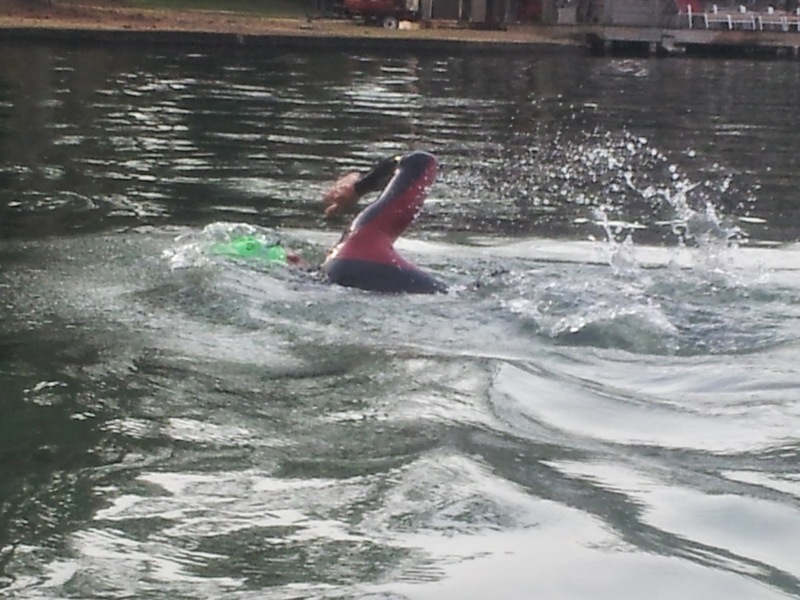 I swam a total of one mile - one half of a mile out and one half of a mile back. I never did get warm but the water did get tolerable and my hands and feet didn't get numb.